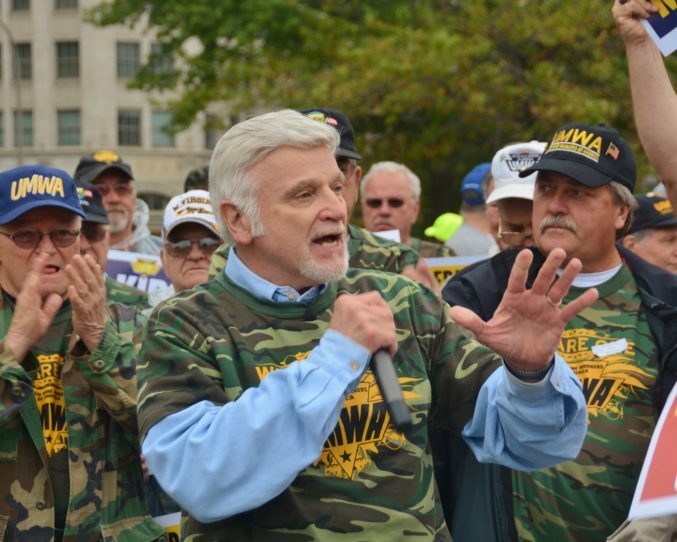 The UMWA has led the fight against a series of regulations coming from Washington that threaten jobs in the coal industry and other industries that depend on coal. 7,000 members rallied and marched through the streets of Pittsburgh to protest Environmental Protection Agency rules, then we took our message to the doorstep of the EPA itself in Washington. The UMWA was a participant in the lawsuit against the EPA’s Clean Power Plan that resulted in a stay of that plan, and is one of only three unions that has filed a suit against the New Source Performance Standards rule, which if allowed to stand will have the effect of outlawing any new coal-fired power plant from ever being built in the United States. 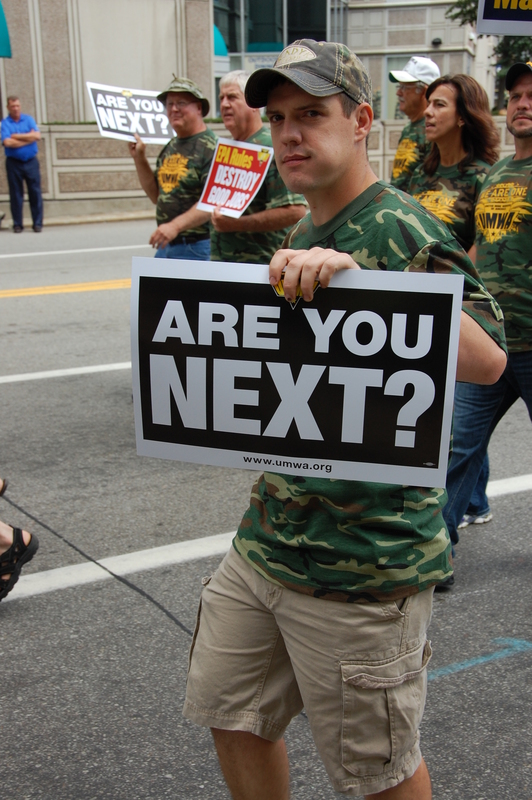 Photo albums available on Facebook for the EPA protests in Pittsburgh, PA and Washington, DC.